I’m not quite ready for Christmas yet. I will admit that I have started shopping, but I can’t get excited about anything else. I still want to focus on Thanksgiving, on being grateful for the wonderful changes that have happened this year and for the people I love. 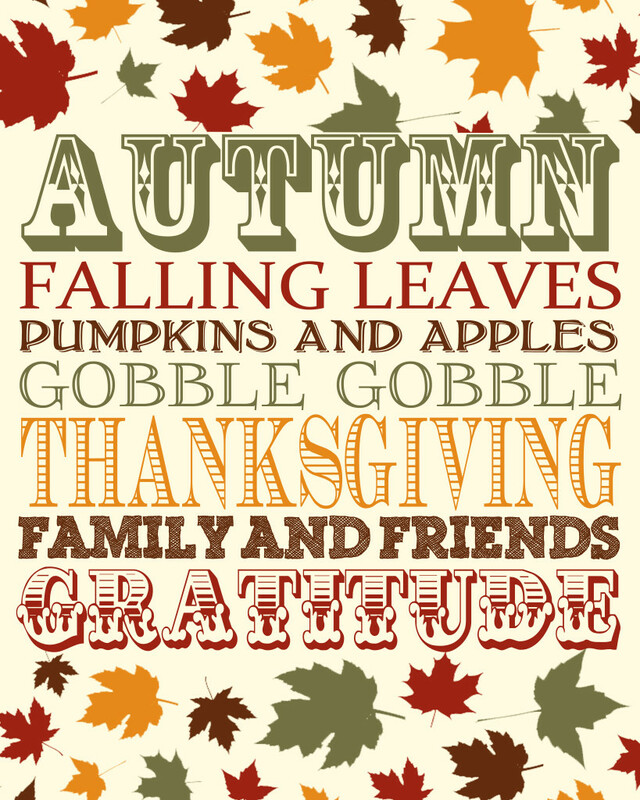 Plus, it is our year to celebrate Thanksgiving with my family! I love my mom’s cooking and can’t wait for her stuffing. Therefore, it will be Thanksgiving over here on The Love Nerds for a little bit longer, which includes this free Thanksgiving print and a coordinating free printable over at The Girl Creative. You can download your free Thanksgiving print here as a JPEG or PNG and find a coordinating print over at The Girl Creative where I am a monthly contributor. What is your favorite Thanksgiving food? My favorite is my mom’s stuffing.